The Detroit Red Wings have traded forward Steve Ott to the Montreal Canadiens in exchange for a sixth-round draft pick in 2018. Ott has three goals and three assists in 42 games this season, his first with the Wings. 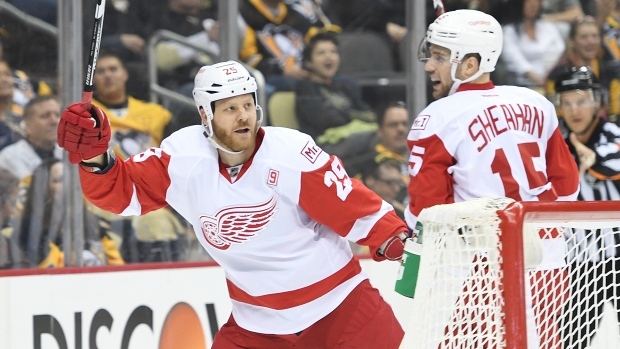 Canadiens acquire forward Steve Ott from the Detroit Red Wings, in return for a 6th round pick in 2018. The 34-year-old signed a one-year, $800,000 contract in the 2016 offseason and will be an unrestricted free agent at season’s end. The native of Summerside, P.E.I. is in his 14th NHL season, split between the Dallas Stars, Buffalo Sabres, St. Louis Blues, and Red Wings. Ott was drafted by the Stars in the first round (25th overall) of the 2000 NHL Entry Draft.